Autoglym's Complete kit contains everything required to remove all traces of minor scratches and restore as new appearance to complete panel. Perfectly balanced Scratch Remover. Specifically blended to combine the appropriate level of cut and gloss to restore an as new finish. No haloes or clouding as seen with some other competitor products. 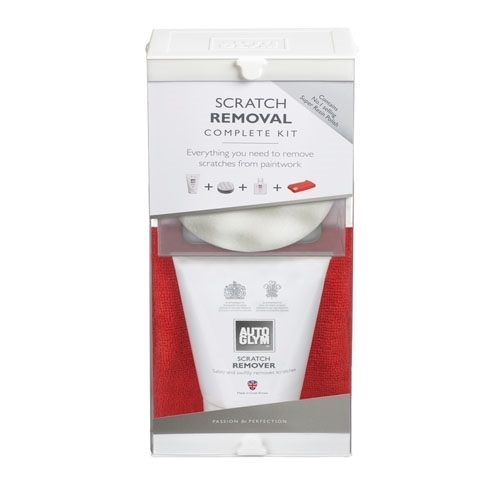 Scratch Remover Applicator that is carefully designed with selected foam that optimises performance and makes application easier. Come with Super Resin Polish and Autoglym Hi-Tech Finishing Cloth to ensure renovated area blends in to rest of panel. User will never know that a scratch ever existied. New from Autoglym! 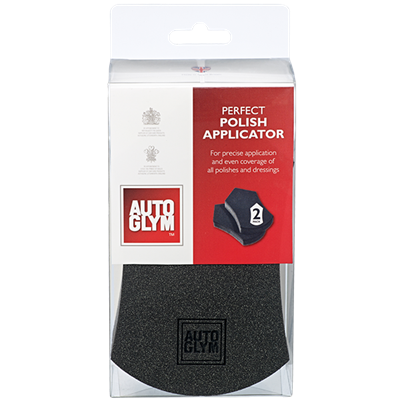 For precise application and even coverage of all polishes and dressings. Each pack contains two applicator pads.